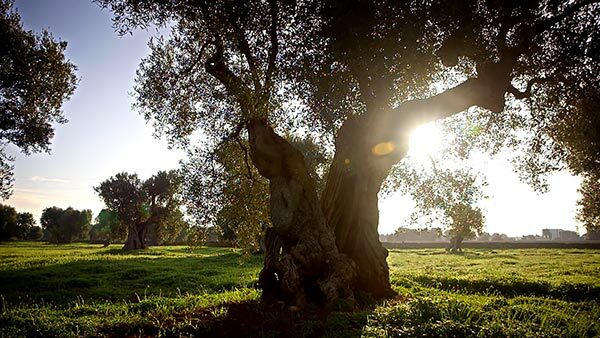 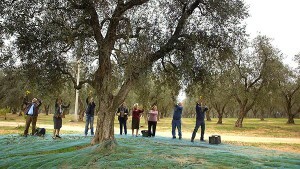 We travel to the heel of Italy for this episode of Dream of Italy on Puglia. Local Tonino Benincasa gives host Kathy McCabe an introduction to the Baroque city of Lecce with a classic car ride. Lecce is famous for its paper mâché and we see how nativity scene figures are crafted at Cartapesta Claudio Riso. 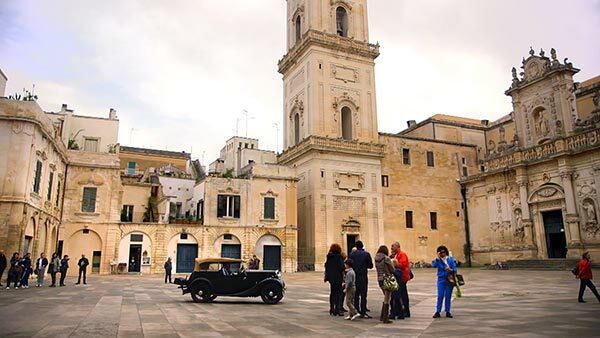 Outside Lecce, in the town of Squinzano, Kathy meets the locals and gets a ride in a tiny Ape car to an olive mill where locals are dancing the pizzica in celebration of the harvest. 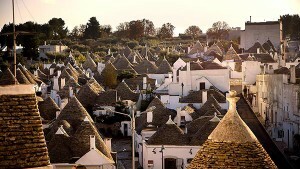 A local mama teaches Kathy to make orecchiette (pasta). 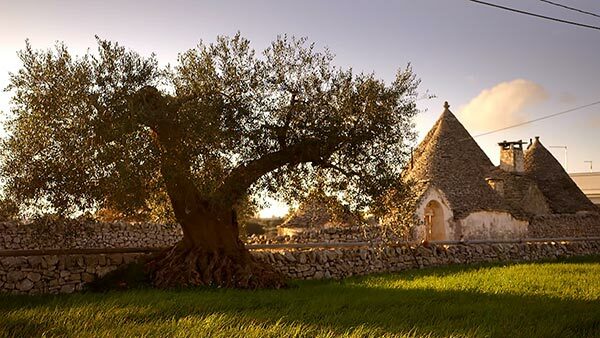 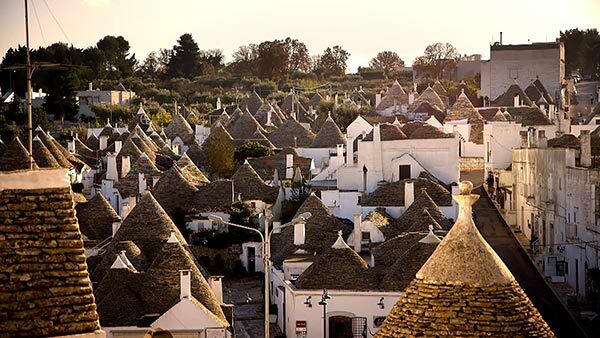 Alberobello is famous for its classic cone-shaped houses (trulli) and we learn the history of them. 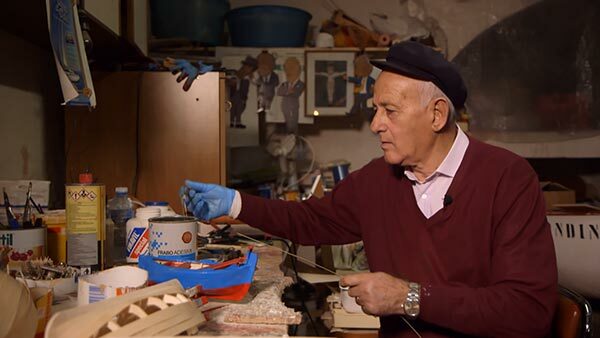 In seaside Monopoli, Kathy’s friend Antonello Losito introduces her to an old man who makes beautiful model boats. 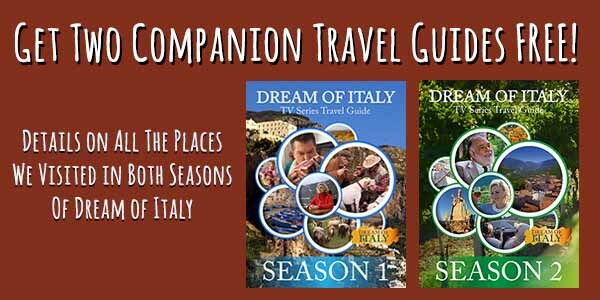 Get all of the details on our Puglia episode and how you can recreate our experiences in Italy on your next trip in our FREE Dream of Italy TV Series Travel Guide! 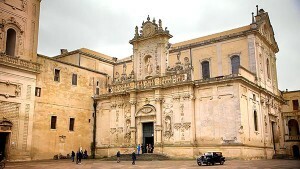 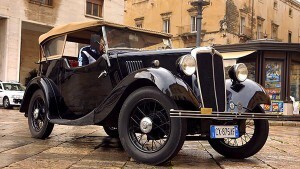 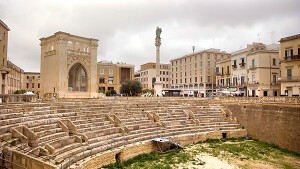 Explore the Baroque city of Lecce in an historic car. 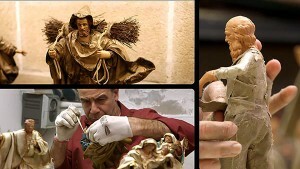 Meet three brothers who carry on the tradition of paper mache making. 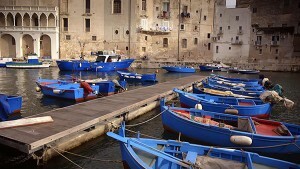 Learn how to make traditional Pugliese food with a local mama. 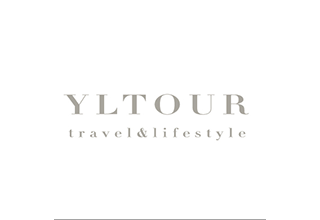 Visit a traditional masseria (farmhouse). 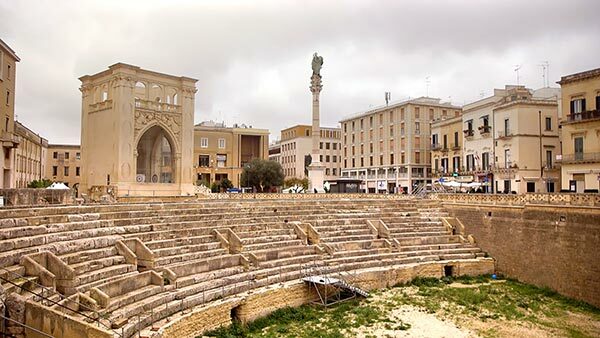 Dance the pizzica and explore the history of this ancient dance. Meet a charming former boat captain who celebrates this region’s connections to the sea by making small model boats. 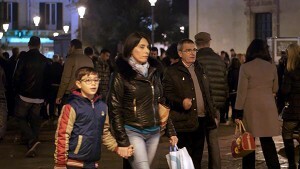 Walk a traditional passeggiata– a cultural experience that happens every evening in every Italian city. 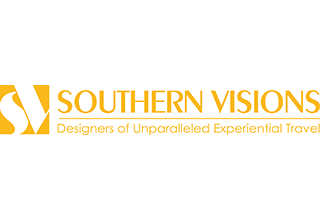 Experience much more of Puglia!